How do you get to experience your potential purchase when it doesn’t yet exist? More importantly, how do you ensure your current desires and expectations will match the end product? 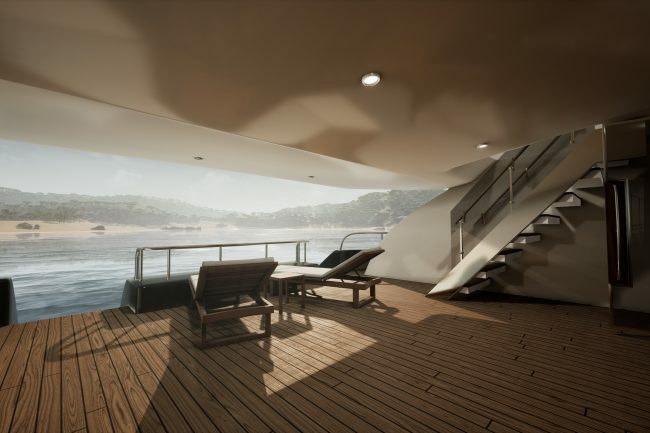 Those were the main questions we aimed answering through our Superyacht VR showcase, an innovative and creative proposition. 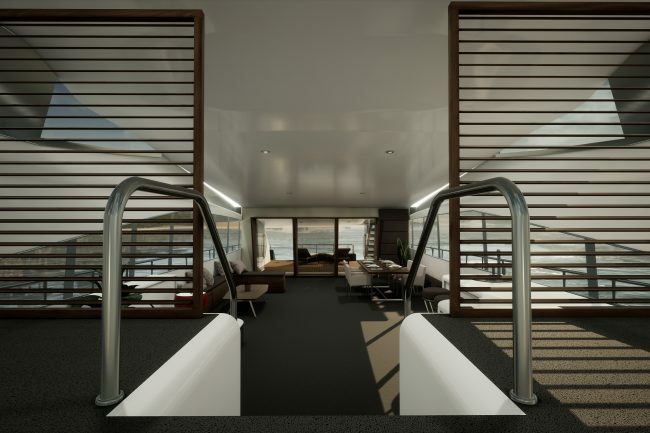 "A virtual showroom experience for superyachts"
Purchasing certain luxury products, particularly custom made ones, implies years of waiting time prior to being able to enjoy the actual acquisition. 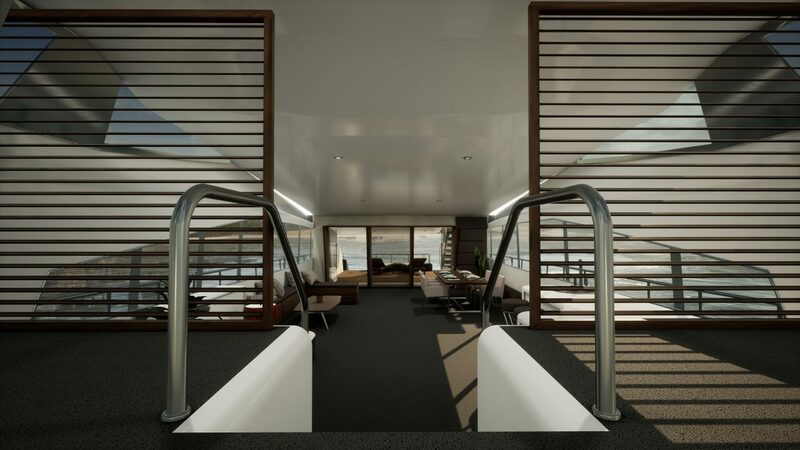 Superyachts are no different. From the get-go, visualizing a concept based on your ideas often presents a challenge because there are so many possibilities and references. 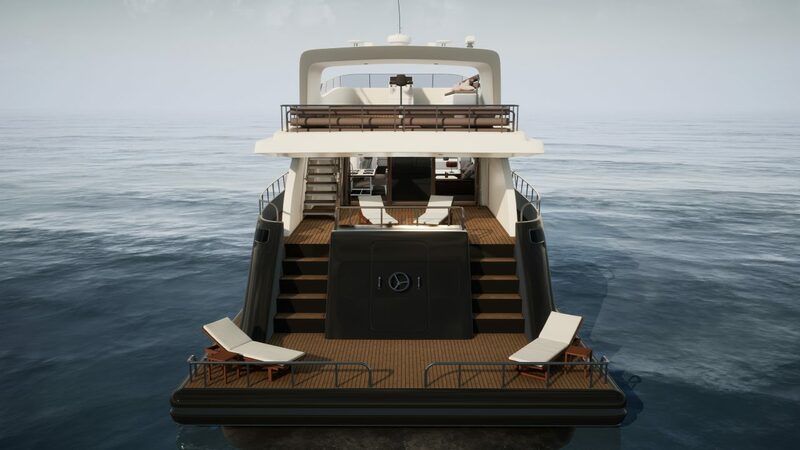 And building a yacht is no uncomplicated matter, where all decisions are linked to many different outcomes. So it’s often impossible experiencing all components, traits and elements combined, right off the bat. Drafts, sketches, renders, samples and models – they all are solid resources to start imagining the definitive prototype. Nonetheless, they don’t yield the same effects in satisfying the less creative mind, not to mention, beginning to repress curiosity or excitement. Being accustomed to having people experience the impossible, we created a solution that, even though one will still need to wait for the final product, it will help spark the imagination and excite. 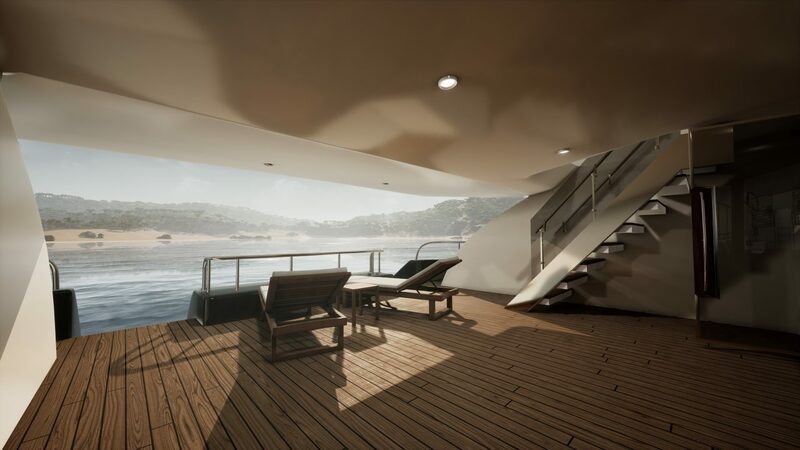 Our Superyacht VR demo serves as a virtual showroom experience, in which one can imagine the possibilities for yacht designers and builders to make their customer experience infinitely more exciting, real and efficient! 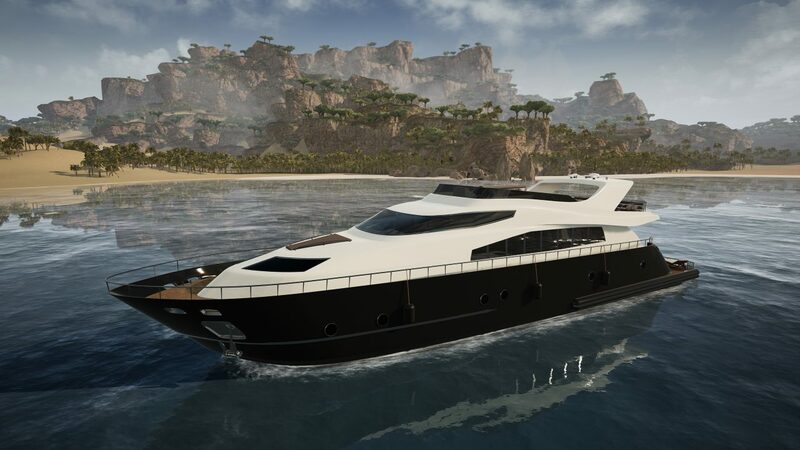 At the centerpiece of the experience lies a luxurious yacht, floating on clear-blue water, making the experience come very realistic. 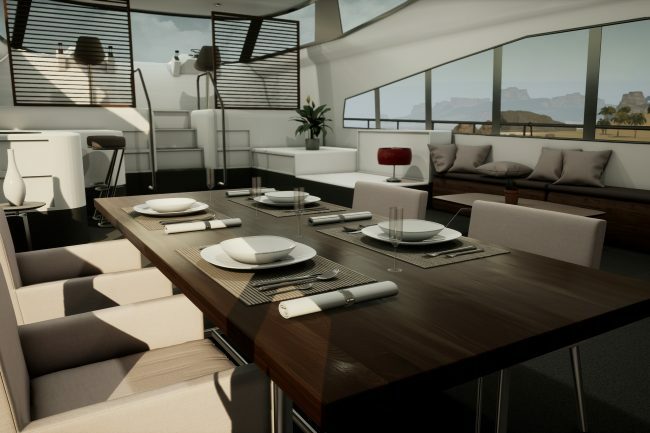 Current features of the demo include walking and teleporting functions, through which the entire surface of the lavish boat can be navigated. 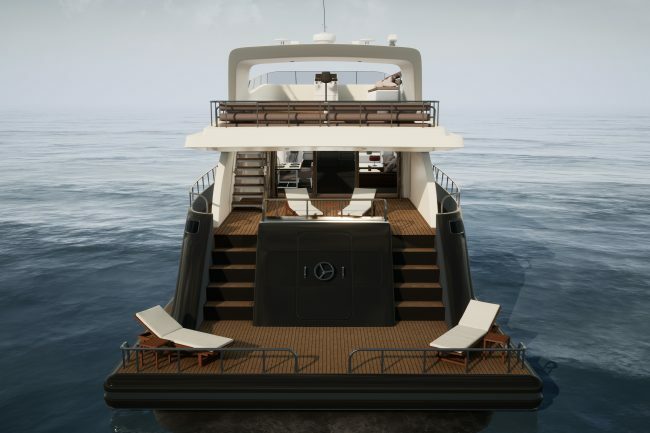 On top of this, an interactive floorplan allows direct access to any floor of the yacht. 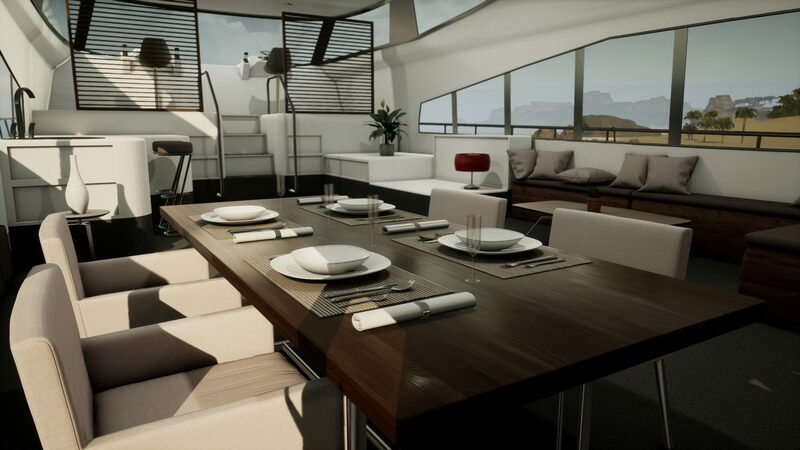 The virtual experience also supports a bird-eye viewing option, through which the user floats above the yacht, being empowered to inspect any angle. 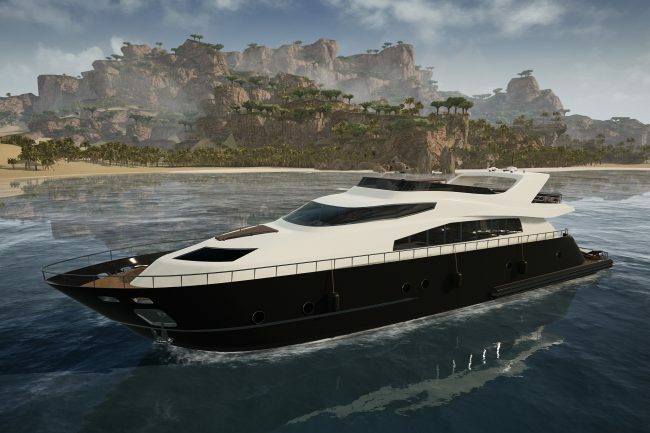 Possible add-ons can include navigating the yacht, floor plan adjustments, making selections for room numbers and sizes, customizations of interiors, materials and surfaces, furniture choices and more. Whatever it is that one can think of, we can make it happen!